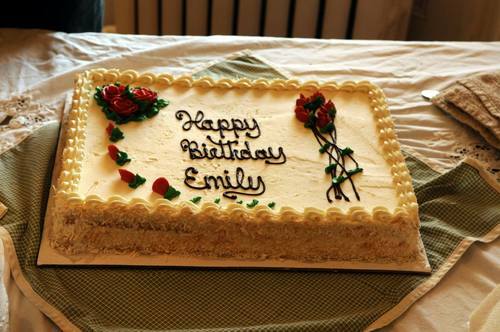 On Saturday December 10 the Emily Dickinson Museum in Amherst, Massachusetts, celebrated what would have been its namesake’s 186th birthday with cake, guided tours, and of course, poetry readings. 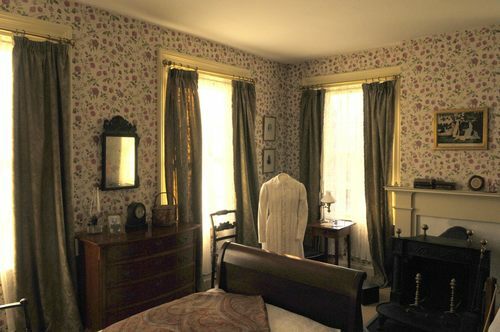 Last year the museum welcomed visitors to partake in crowdsourced poetry creation and to tour the recently completed renovation of Dickinson’s bedroom. Roughly 260 visitors braved bitter temperatures to attend this year’s bash, which coincided with the restoration of the property’s conservatory. Built by the Dickinson patriarch Edward in 1855, the tiny, south-facing, six-foot by 17-foot glass-enclosed greenhouse served as a year-round link to the natural world so beloved by Emily, where she tended to nearly two dozen native and exotic plants like orchids, ferns, carnations, and gardenias. The conservatory was dismantled in 1916, but many of the original building materials remained on the property, undisturbed, for one hundred years. Now, the museum plans to use those existing pieces to rebuild the greenhouse as accurately as possible, as well as replant the various flowers that both inspired the poet and, as she grew more reclusive, served as her representatives to the outside world. The Emily Dickinson Museum closes later this month for the rest of the winter and will reopen in March. On Saturday December 10 the Emily Dickinson Museum in Amherst, Massachusetts, celebrated what would have been its namesake's 186th birthday with cake, guided tours, and of course, poetry readings. Last year the museum welcomed visitors to partake in crowdsourced poetry creation and to tour the recently completed renovation of Dickinson's bedroom. Roughly 260 visitors braved bitter temperatures to attend this year's bash, which coincided with the restoration of the property's conservatory. Built by the Dickinson patriarch Edward in 1855, the tiny, south-facing, six-foot by 17-foot glass-enclosed greenhouse served as a year-round link to the natural world so beloved by Emily, where she tended to nearly two dozen native and exotic plants like orchids, ferns, carnations, and gardenias. "The restoration of the conservatory is still a work in progress," said Brooke Steinhauser, the museum's program director. "We've got another month before completion--but there's a roof and a floor, and already you get a feel for the size of the space and how important this room was to this poet who was a gardener at heart." Throughout the afternoon, volunteers invited children and adults to fill miniature pots with marigold or foxglove seeds from the garden. At 2:30 p.m. sharp a crowd assembled on the main floor around a table supporting two massive coconut cakes prepared according to a recipe sent to the poet by a woman known as Mrs. Carmichael. (Find the recipe here and in Emily Dickinson: Profile of the Poet as a Cook.) Taste-testers agreed that the confection was appropriately sweet and dense--a pleasing remedy to wintery doldrums and a lovely tribute to a woman who distilled "amazing sense From Ordinary Meanings."